In today's society, establishing comprehensive estate plans and taking the time to plan for your future, no matter how large or small your estate, has become extremely important. A number of situations have recently captivated our national attention and brought the importance of estate planning to the forefront of our collective consciousness, but these have only emphasized the need to plan carefully for your future needs and the disposition of your assets long-term. 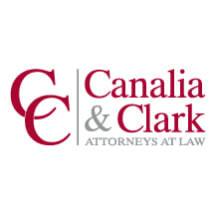 At the Law Offices of Canalia & Clark, LLC, we are proud to have a "niche" boutique practice. That is, we focus all of our attention on assisting clients with all aspects of estate planning, including protecting your assets and your legacy for future generations. To schedule a free consultation about estate planning with an experienced lawyer, contact our office in southeast Cook County now. In addition, the attorneys and staff have a combined 75 years experience assisting clients in the sale and purchase of residental properties.